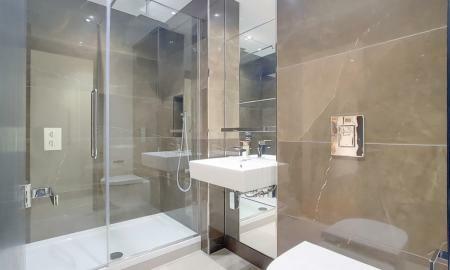 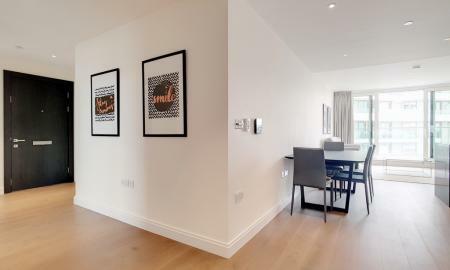 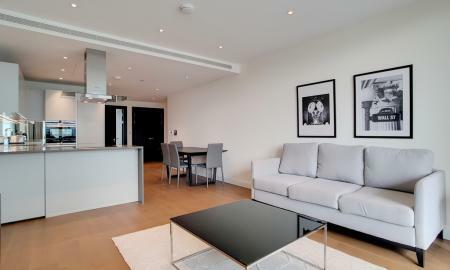 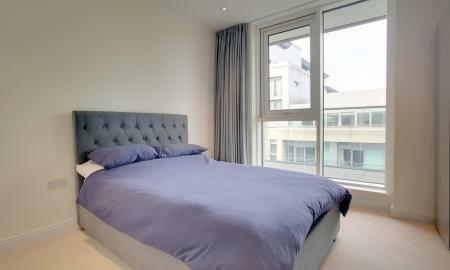 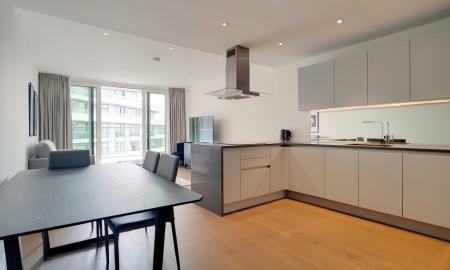 This stylish three bedroom apartment to rent in the popular Vista development. 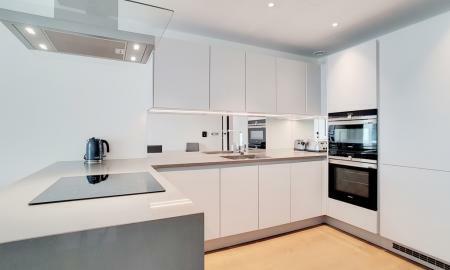 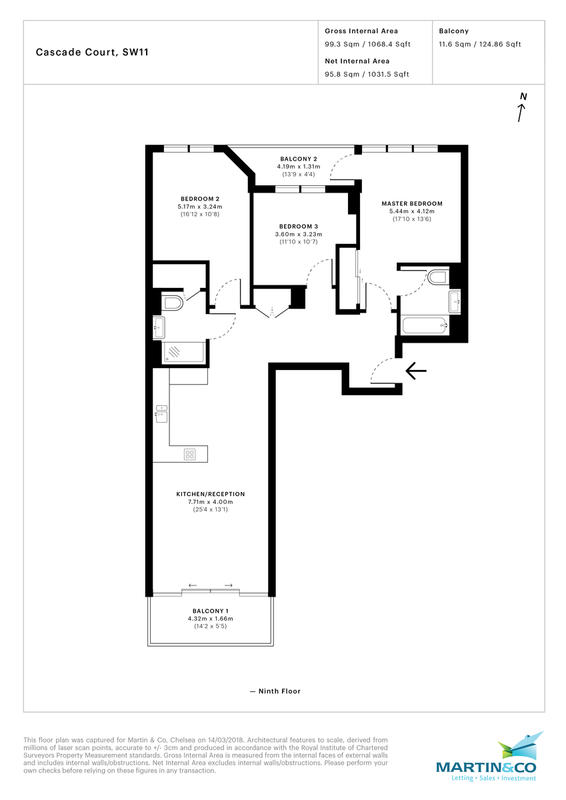 The property benefits from a fully fitted kitchen with Siemens appliances. 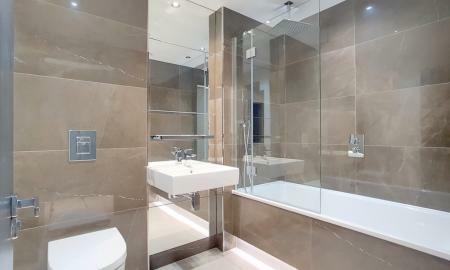 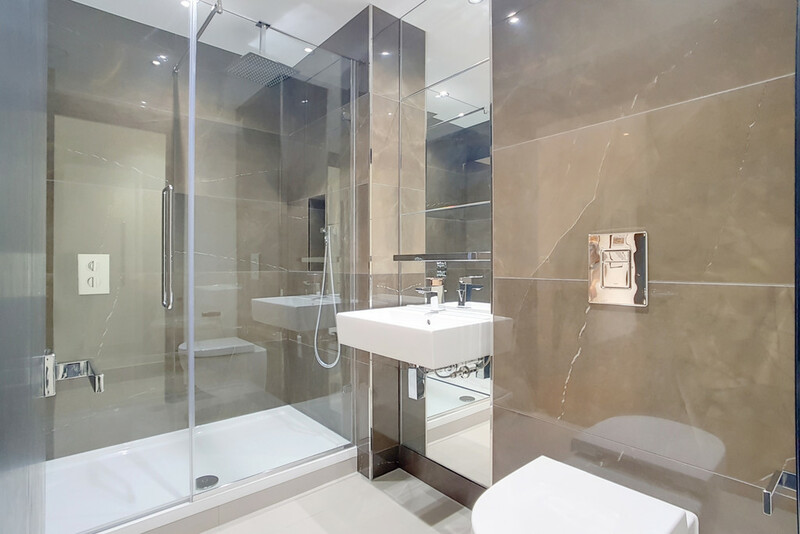 There is underfloor heating in the master en suite bathroom and heating and hot water is from a communal system in the property. 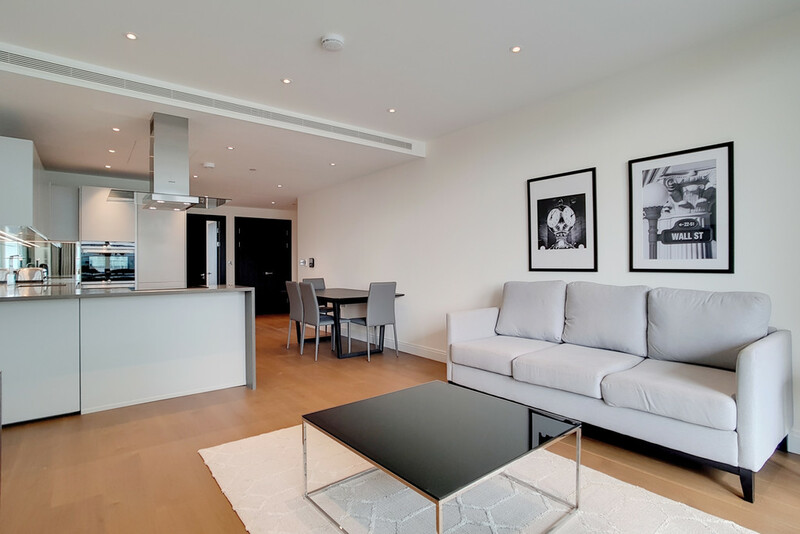 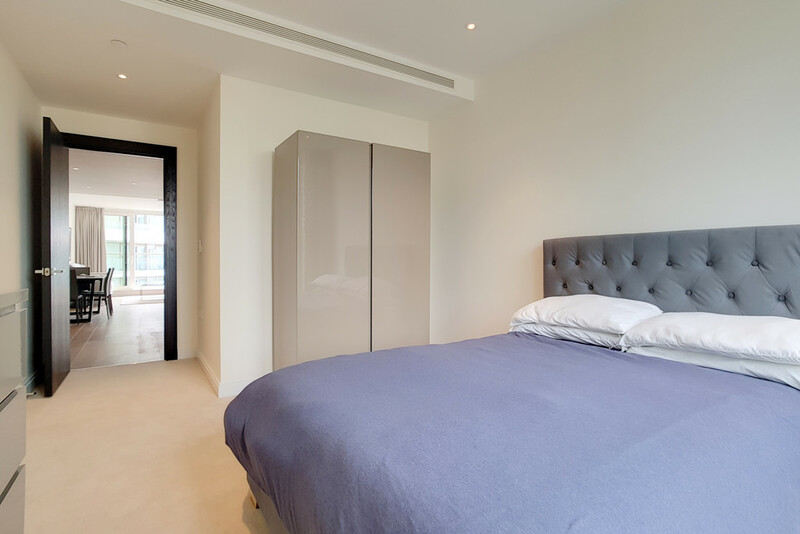 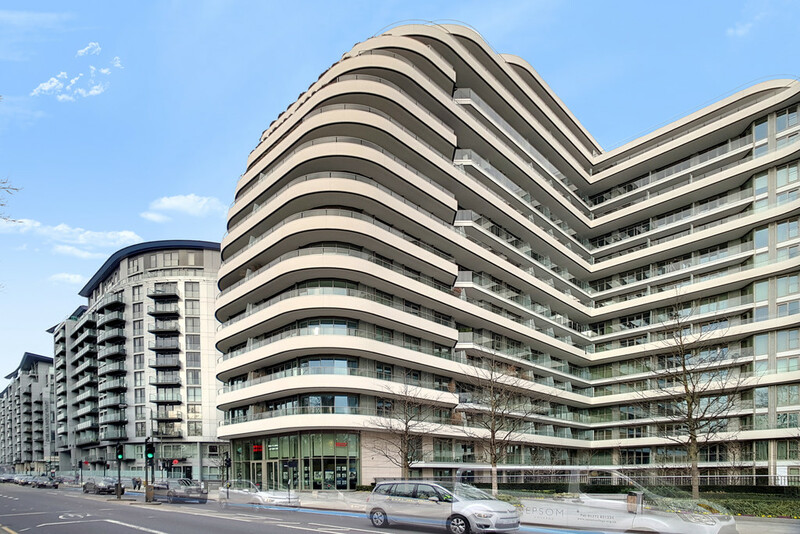 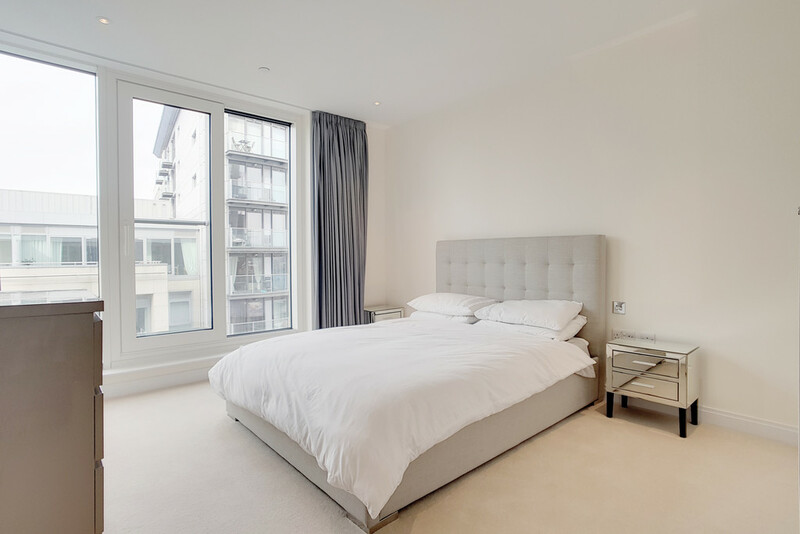 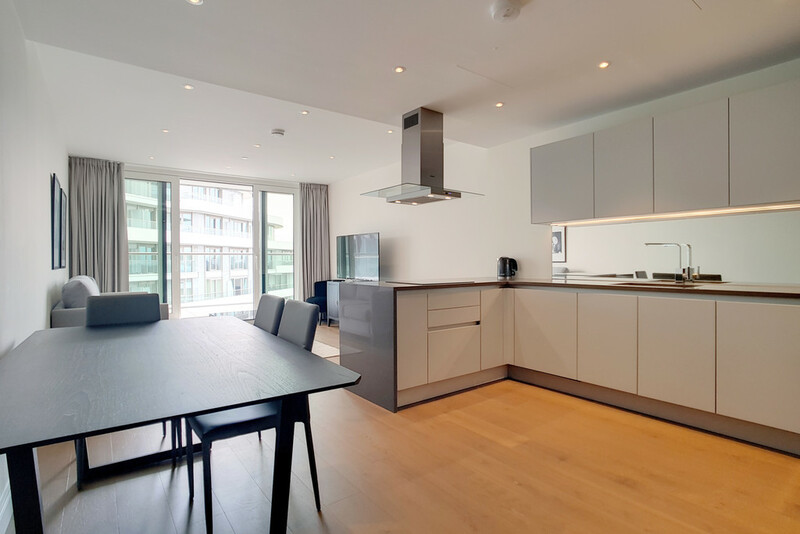 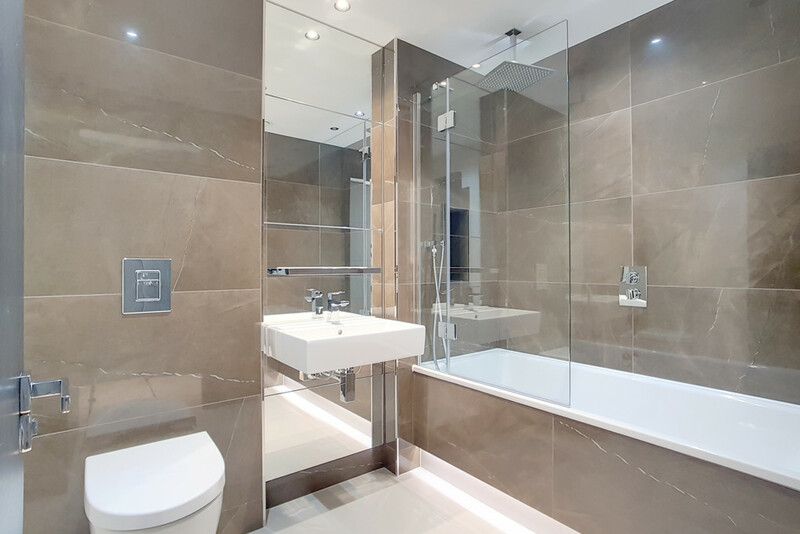 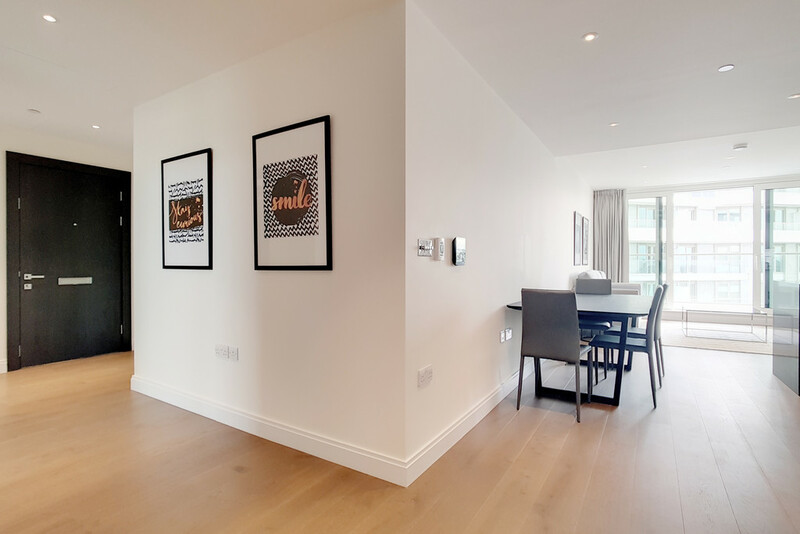 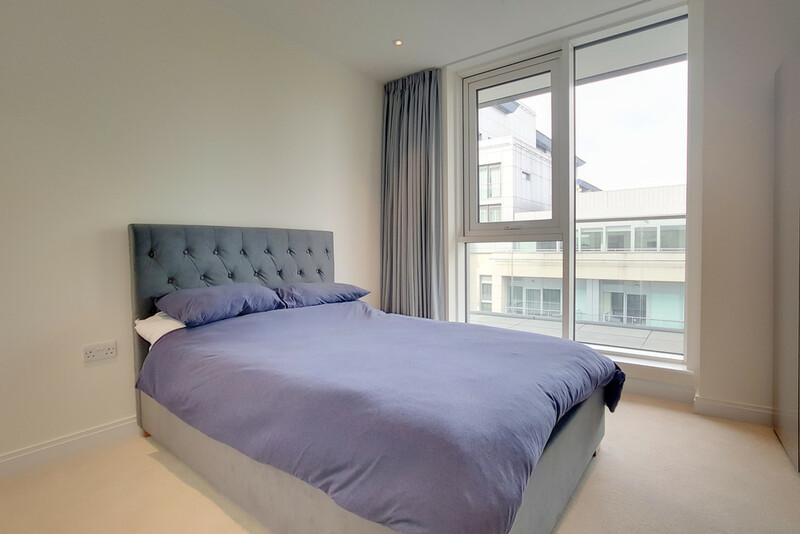 The development is extremely secure and safe with a 24 hour concierge service, monitored CCTV and video entry system in each individual apartment. 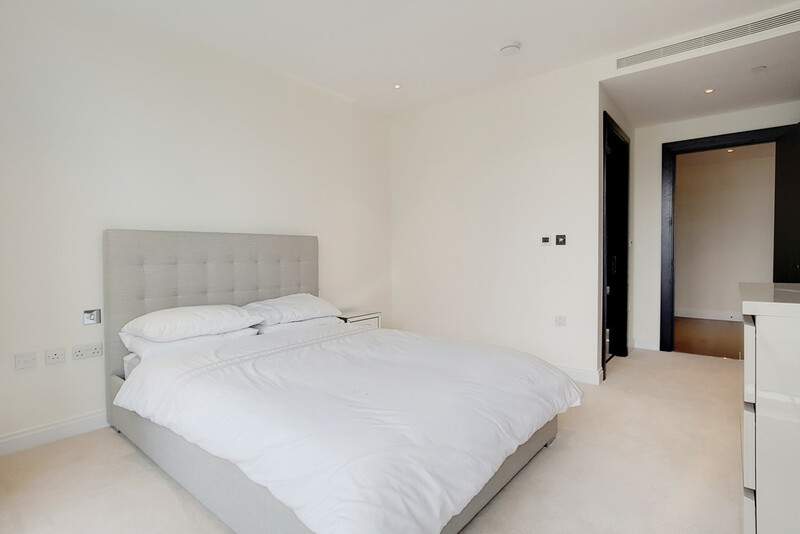 The development boasts impressive private landscaped garden courtyards, resident leisure facilities including vitality pool, gym, and sauna and 24hr concierge. 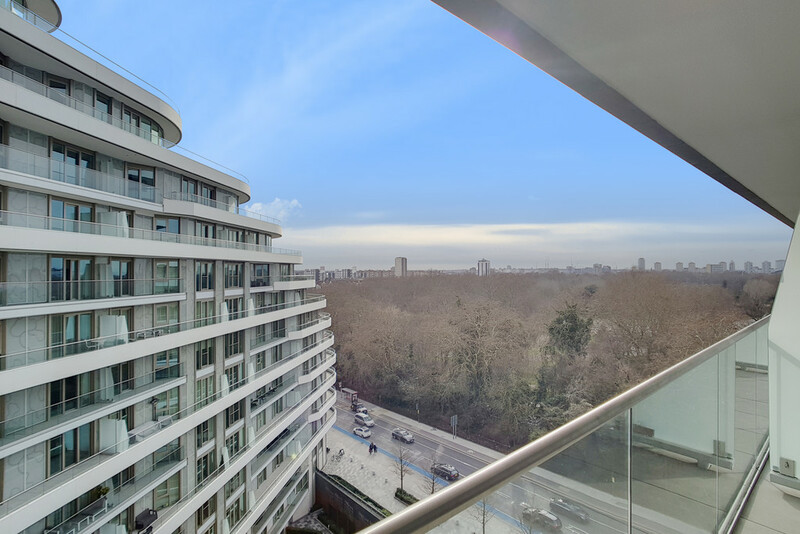 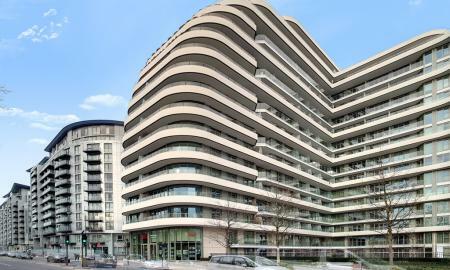 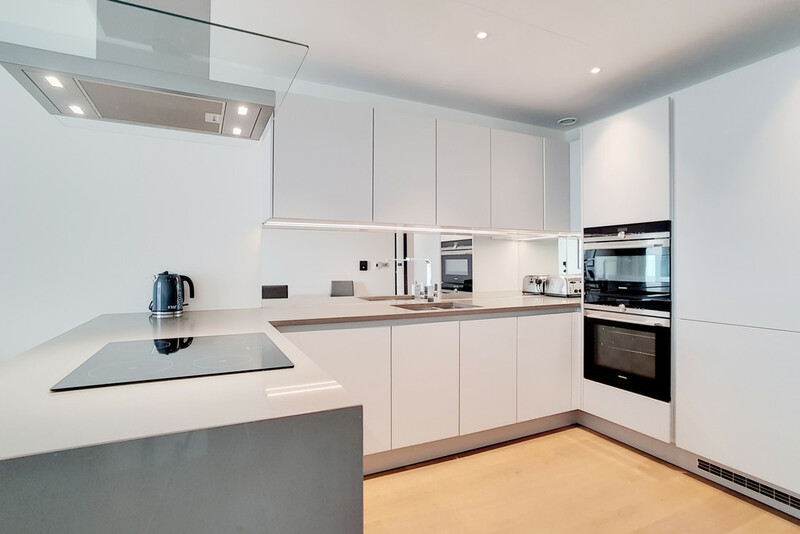 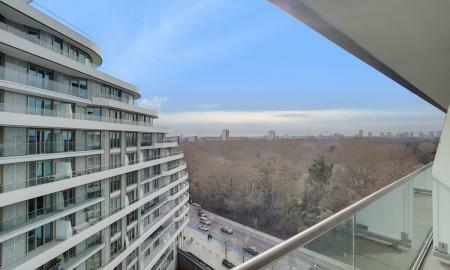 Overlooking leafy Battersea Park, the apartment is in an enviable location nearby Chelsea Bridge and Sloane Square and is moments from the many amenities, shops and restaurants of Sloane Square.